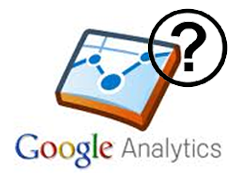 If you have been focusing on internet marketing of your website, I’m sure you would be aware of Google Analytics. It’s a tool to help you track the traffic coming to your website and analyze your visitors and also from geo-locations. While analyzing traffic sources and visits, you might have come across various data list with ‘not set’ and ‘not provided’. These are the terms been used by Google Analytics when Google is not able to track the visit coming from which keyword or exposing that information is not in Google’s policy. What does ‘not set’ means in Google Analytics? “Not set” appears in the traffic sources section of Google Analytics and it means that the visitor did not enter your website through a keyword; they came from a referral site. This referral can be from your ad campaigns running on Google Adwords or others. What does “not provided” mean in Google Analytics? For any marketing agency, to promote your website, tracking keywords and source of visits is very important. This is also required to track results of their efforts and plan for their further SEO Strategy. Although, this information is not available but other co-related information like bounce rate, average time on website etc are still there to help. Also, Google has extra features to use utm_source, utm_medium & utm_campaign to be used in your email marketing, ad marketing, referral, partner etc program to help you track the visitors and know where are they coming from. If you have any questions about the jargon in Google Analytics, or using Google Analytics in general, feel free to contact Kenovate Solutions at www.kenovate.com or +91-11-42141242.